The La Gloria Cubana Artesanos de Tabaqueros is a unique cigar innovation handmade in the Dominican Republic. Two thirds of the cigar is comprised of a beautifully rich Ecuadorian Sumatra wrapper, while everything from the band down is Connecticut shade. Two distinct flavors dance wonderfully together allowing a brilliant combination of chocolates and coffee from the Sumatra side and a distinct flavor of earth and nuts from the Connecticut side. 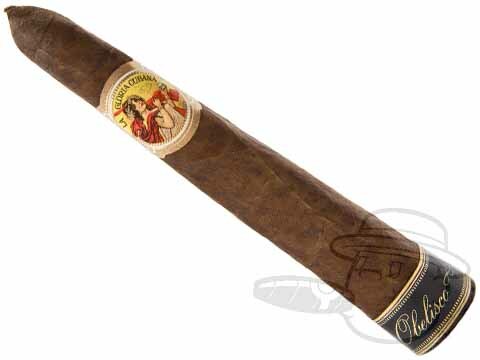 The medium bodied Artesanos de Tabaqueros cigar offers a clean, slow burn, and just the right amount of spice for a pleasurable smoking experience.